Matthew Morgan is the co-founder of many different companies including, Reef Dispensaries, Slapps Underwear, Ignite Cannabis Co, Tryke companies, Bloom Dispensaries, Green Axis Capital Corp. as well as many others. Hailing from Missoula, Montana, Morgan excelled in real estate at a young age until the recession led him to rethink his career, leading him into cannabis. In just ten months, his new cannabis business grew to a 15,000 square foot operation and was one of the largest in Montana. After state legislature caused Morgan to shut down his business, he opened a chain of hydroponics stores in Arizona. After establishing local connections, he was able to acquire one of only 131 marijuana business licenses in the state. He and a partner started Bloom Dispensaries, and in under a year, Bloom had over 100 employees and garnered over $1 million in sales per month. After trying to sell Bloom to a private investor, Morgan left the company to partner with the investor and started Reef Dispensaries and Tryke Industries. Reef currently runs six retail locations, two manufacturing plants, and two laboratories in Nevada and Arizona, with over 400 employees. Morgan now does consulting work all over the globe for several different business ventures. He continues to enjoy cannabis and the many benefits it provides to his daily life. Cannabis is the new Gold Rush. "In 10 years, I believe the industry will be almost completely recreational." 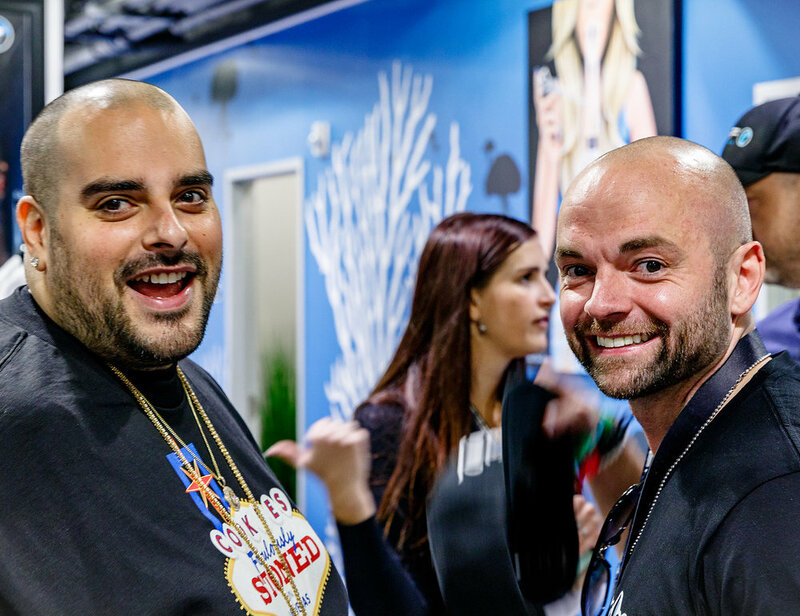 From changing industries to partnering with Instagram star Dan Bilzerian, Green Axis founder Matthew Morgan sees a huge opportunity in cannabis. Slapps! Underwear officially launches in March of 2018. We provide our customers with unique underwear that brings your style and personality from the streets to the bedroom. Life's too short to not have a little fun! We have expanded our operations in an effort to exceed the expectations of our alpha male customers. Slapps! offers the most creative designs on the market, along with our great selection of underwear to help you "seal the deal". Our staff is comprised of passionate, upbeat individuals that have been changing the game for years. Our goal is to shape a team of confident individuals, providing them a way to show their swag and create a fun environment that rewards positivity, hard work, leadership, and determination. Reef Dispensaries is one of the leading cannabis dispensaries, specializing in medical and recreational strains. Reef operates in six locations throughout Nevada and Arizona. Bloom Dispensaries is focused on the medical cannabis industry in Arizona, offering over 25 strains of cannabis available at four dispensaries in the state. Please complete the form below to contact me directly.